At Dinacon I did some drawing. 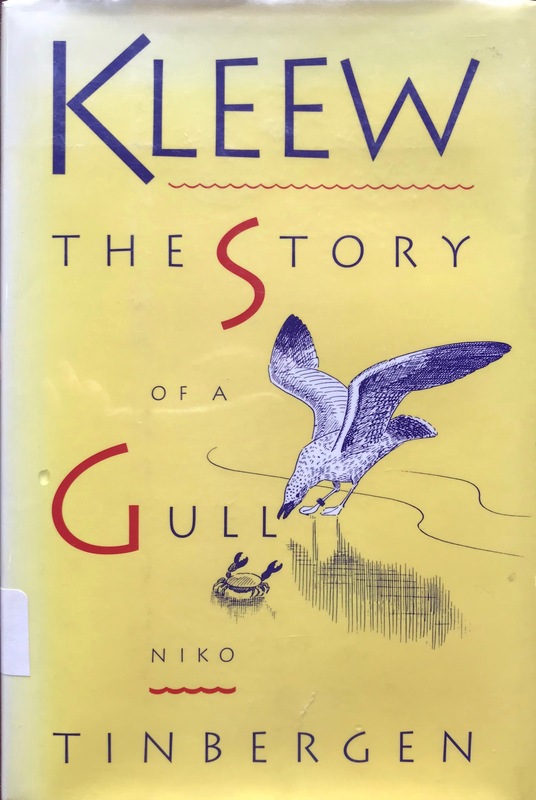 I chose to copy drawings by the great ethologist Niko Tinbergen, from one of his lesser-known books: Kleew, a book for children about a gull. 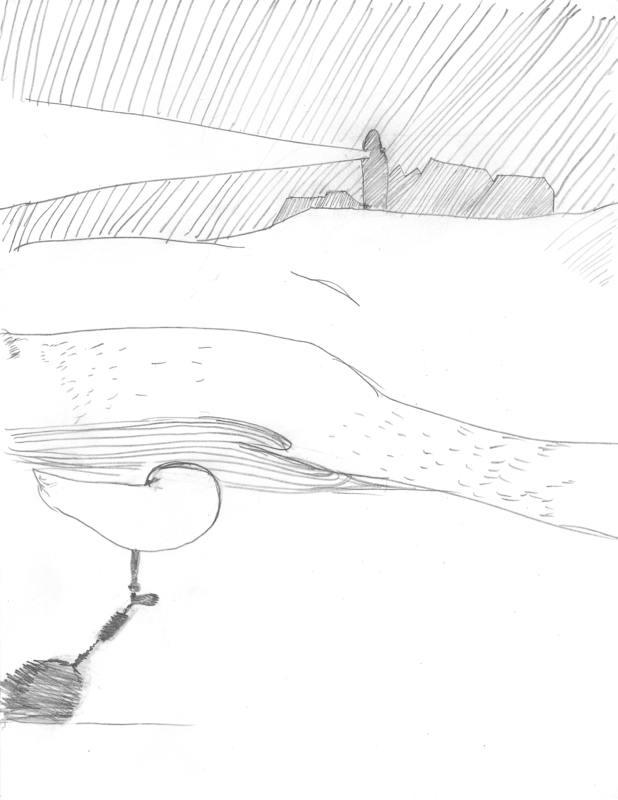 Here are two illustrations from that book, and my rendering of the illustrations on the cover and page 23. I use the only drawing tool I can control yet, the PaperMate SharpWriter #2 mechanical pencil. I hope to learn how to draw with technical pens. I learned so much from copying these drawings. One technical thing I love is Tinbergen’s construction of shadows and use of them to establish planes and surfaces. My original Dinacon application proposed creating wearables based on “the drawing style of Tinbergen”. 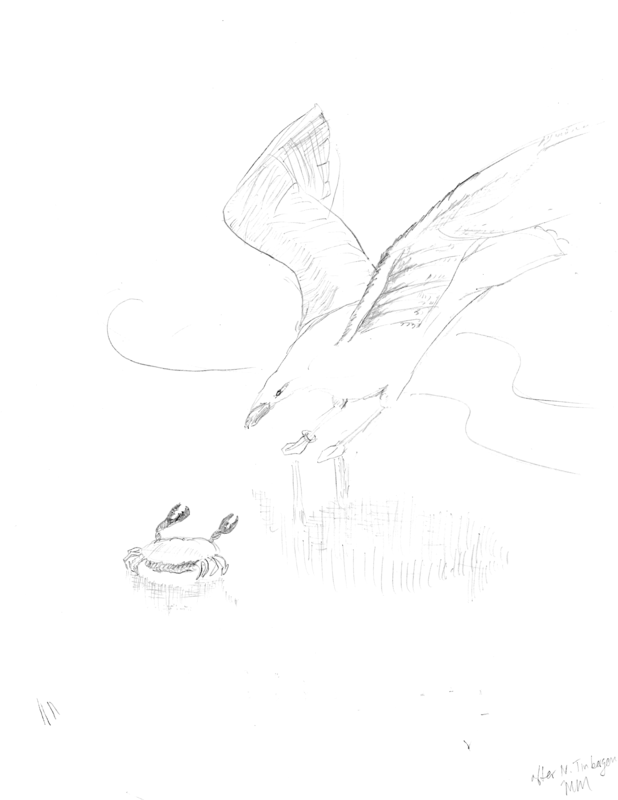 I wrote that from an intuition or memory that Tinbergen had any drawing style at all. I knew that his ethology books were illustrated, and I knew that my father carefully prepared slides of, and showed, a series of Tinbergen animal drawings in all his talks during 1973-85 or so. Tinbergen’s ability to make a theory of animals’ minds was one of the keys to my father’s “Society of Mind” theory. 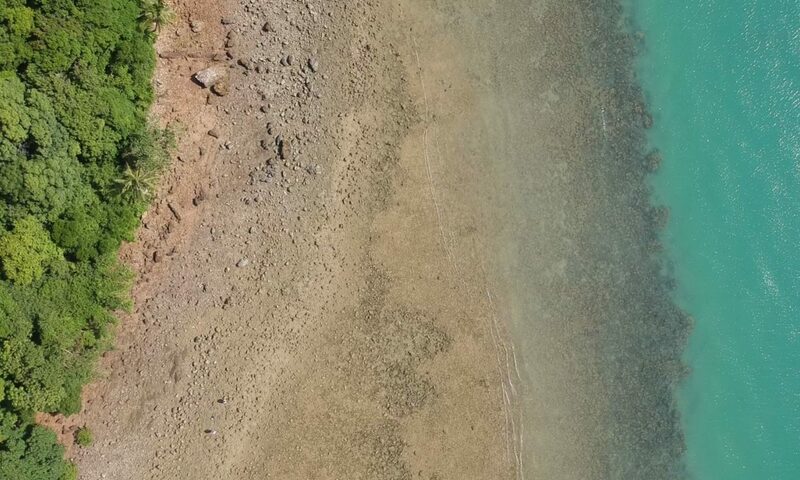 Another intuitive basis for my proposal was Andy’s Digital Naturalism tenet of “seeing or sensing” from creatures’ perspectives in their natural environment, an idea that permeated the invitation to apply to Dinacon. I’d probably subconsciously absorbed that Andy himself was strongly influenced by Tinbergen, as mentioned in his Hacking the Wild book. A few weeks later, preparing for Dinacon, I thought it best to check whether Tinbergen did indeed do his own drawings! Yes, he did, and in fact was an artist before he became a scientist. In a lovely piece of scholarship on Tinbergen’s life in art, Robert Root-Bernstein tells of Tinbergen’s teenage magazine cover sales, and later during his faculty years of his tutelage by a master artist while imprisoned in an internment camp for his non-cooperation with the Nazi regime. 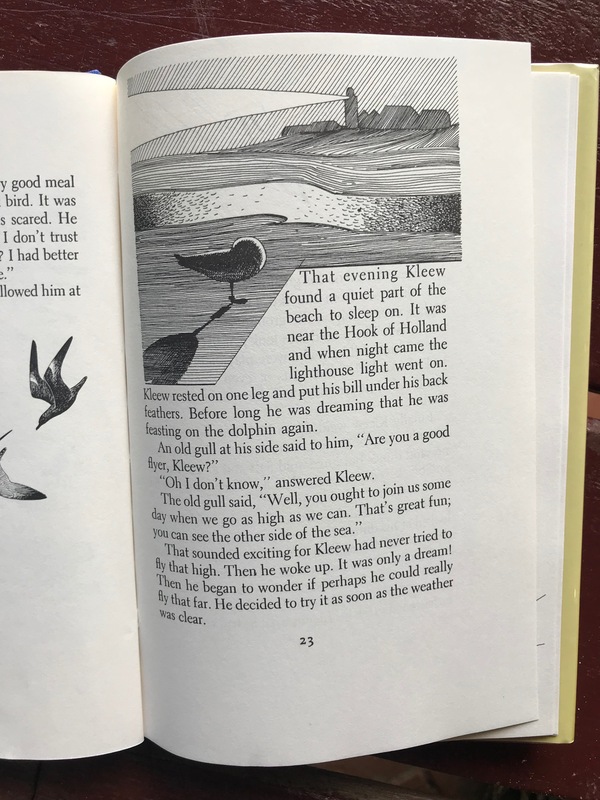 During the internment, Tinbergen created illustrations for his own children that he later turned into children’s books. 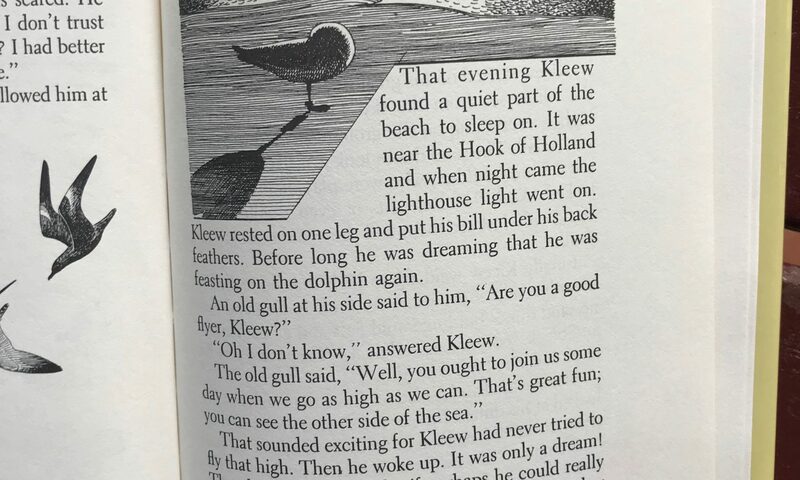 One of those books, Kleew, is findable on the used market. I haven’t been able to find the other one about sticklebacks. Tinbergen published many other books for the public and for children, some including his photos as well as writings. 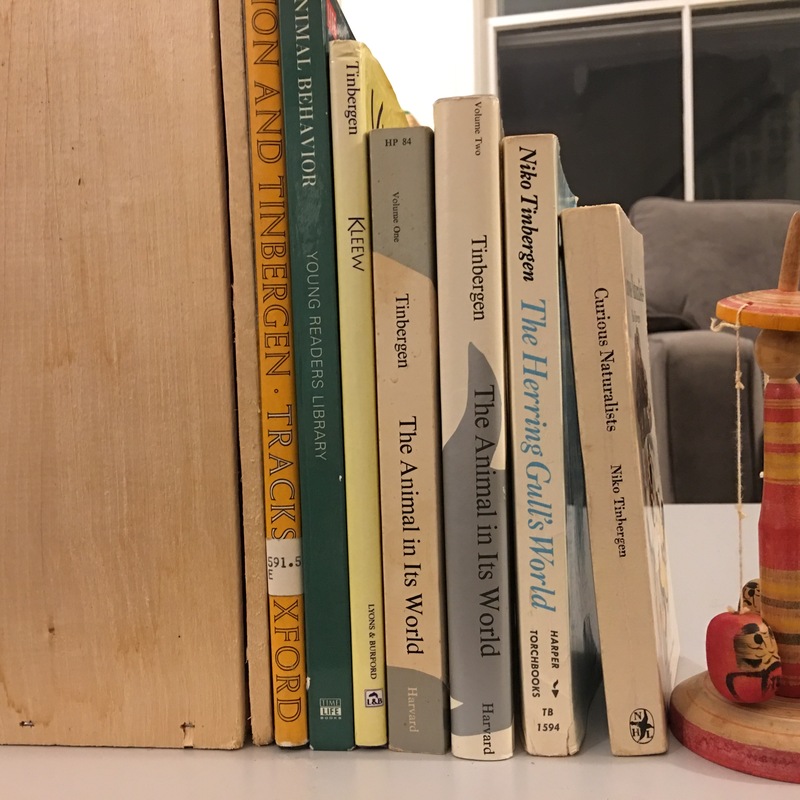 Before I set out for Dinacon, I collected all my existing Tinbergen books, and ordered the others that I learned about during this research. Here’s the whole collection, all are recommended. Tinbergen’s drawings and photos, are integral to his work. Copying these drawings is sweet and hard work. It is window into a great mind. Learning the techniques to use in illustration and drawing, is a meditative work in progress, difficult and rewarding. To work on that surrounded by the people of Dinacon 2018, on the Andaman Diva and in the main house, was a joy.